Sujatha Gidla on India’s caste system and Ants Among Elephants. An Indian author’s quest to understand her country’s entrenched and debilitating caste system—and her family’s place in it. 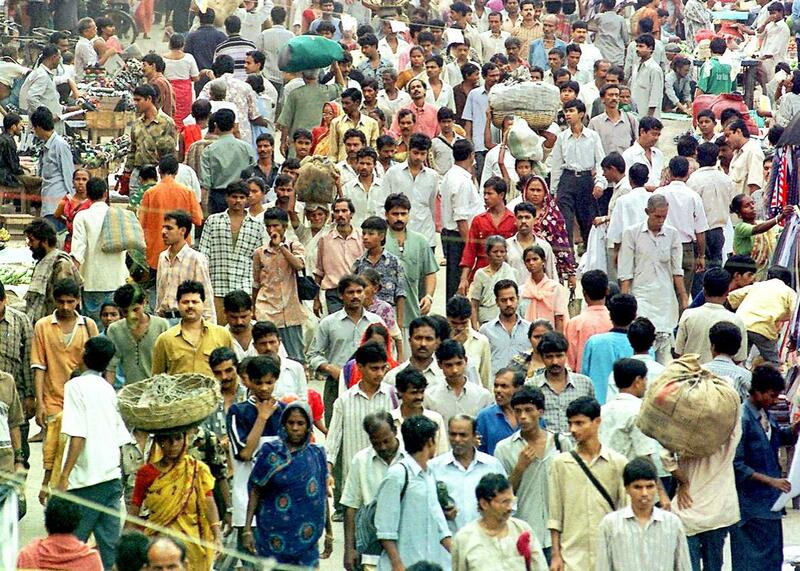 An overcrowded street in Calcutta, India. Sujatha Gidla’s new book, Ants Among Elephants: An Untouchable Family and the Making of Modern India, is the author’s story of discovering—and wrestling with—her family’s fraught and wrenching history. Gidla comes from a line of Christian “untouchables” in southern India who are at the bottom of India’s caste-defined social system; by recounting the experiences of her mother and uncles, she explains how the country has stayed mired in discrimination, even after gaining independence in 1947, and the barriers that still exist to social change. Gidla tells numerous stories of the ways in which her parents were discriminated against, isolated, and humiliated, even though they managed to become college teachers and lead more of a middle-class existence. One of her uncles became a guerilla fighter and activist. This all led to Gidla’s own activism, which landed her in jail for a short time. But after studying physics in school, she came to America at age 26 in 1990. She worked in tech and eventually found her way to the New York subway system, where she is now a conductor—the first Indian woman to hold the job. I wanted to interview Gidla after reading Ants Among Elephants because it is the best book I have read about India in many years. When we finally spoke by phone recently, she was in New York and seemed excited about the reception her book was getting, even though talking about the subjects it covers is still painful for her. During the course of our conversation, which has been edited and condensed for clarity, we discussed why caste is so hard to hide from, how her family reacted to the book, and what it has been like for her trying to build a life in America. Isaac Chotiner: You have more of a science and technical background, so what made you want to write this story about your family? The first question is about being a scientist and writing a book. The second is about what inspired the book. I’ll talk about what inspired the book. In India, we experience casteism. We experience this as victims, and others experience it as either perpetrators or neutral people. We really don’t know the mechanisms of caste—why it’s like that, why we have this. As a young girl, I really wanted a reason, a concrete reason why we were untouchable. I thought that it was because we were Christians because Christianity is a minority religion, and probably that’s why we were being treated like this. But that notion was changed when I saw a movie in which there was a Christian family that was very well-off and also socially superior to even Brahmins. That’s when I started thinking: If it’s not Christianity, why were we untouchables? I was exploring that question for a long time, and finally, when I did, it was like going to your drawing board like a detective would do and placing suspects and victims. I was trying to do that, only on a computer in a Word document. That’s how it started. When I started talking to people about why we became Christians and how we became untouchable, the stories they told, they went far beyond just this question. That’s when I started writing about it. I didn’t mean to imply you wouldn’t have the ability, but maybe my bias as a journalist who knows nothing about science and can’t understand it is that I was impressed that someone with such a science and technical background could write a book like this. [Laughs.] My family are really good storytellers. We like telling stories about what we saw. My mother is very articulate, and my uncle is even more articulate, and also, they knew a lot of things. They’re able to see things from the point of view of “why is this society like this?” and the psychological and social aspects. I inherited that from my mother and uncle, and my father was an English lecturer. I would listen to him teach English to his students. He never taught me directly. Years of listening to him teach his students made me good at English. Can you explain why someone’s caste in India is so hard to hide? I think a common American response could be, why do you tell people what your caste is? Oh, caste is a village social institution. The village social institution persisted for a very long time, and it still does because 80 percent of Indians still live in villages. In villages, castes are very distinct by their occupation, for one thing, and second where they live. Each caste has its own colony. That is where they live. All castes don’t live together mingled. Each has separate colonies. Because of that, everybody knows who you are and also because of what job you do. When it comes to cities, people who came from villages, they still carry those, “Oh, you are such and such person’s relative,” this and that, so they would know. Apart from that, the way you dress, your surname, what you eat, what gods you’re worshiping, and whether you can wear jewelry or not and how you cut your hair. All of these things show your caste. And because the system is 3,000 years old, even if it scientifically does not have a genetic imprint, it has something very close to it. People’s body language—the way they carry themselves—shows what caste they are. I’m sure their physical health, too. Why are even left-wing political parties in India so casteist? The Communist Party of India was dominated by the land-owning Kamma caste, and it’s indistinguishable from a caste-based party. That’s why Communists are all upper-caste. … They bring in their own ideology, instead of leading the people away from casteism. The book has bits where you talk about how emotionally draining it was for you to write. Why was that? It was emotional in the sense that it’s a family story and people are very close to me. They had undergone these kinds of hardships. I didn’t see their real hardships that they faced when they were young, and all these stories came out when I was talking to them. How poor they were was pretty shocking to me. Then, my father and my mother, I loved my father. To portray him in that way was very hard for me. He was a great guy, but the story I’m telling was my mother’s story, and so I had to show the audience how he was toward my mother. Because the story stopped at where it stopped, I didn’t have a chance to show his good side, and that made me feel bad. The fact that they were all dying was the biggest problem, that they were not going to see this story in print, that was the biggest sadness for me. Some of them have seen this in print though, right? Some of your family? My mother. Both my uncles were dead before that. My father was dead even before that. It’s kind of very hard that they weren’t there to see, and especially my uncle, because he was kicked out of the party, and he tried to get together an organization, but he didn’t succeed, and in the end he was telling a journalist that “my life is just a joke.” That really felt very bad to me. If he had seen this book, he would have known that his life was not just a joke. What has your mom’s reaction been to both reading the book and seeing the response it has gotten? She has been involved in the process of writing this book, so she almost feels as if she wrote the book. The fact that it is her story is very important to her. She’s extremely, extremely proud. But one sad thing is that there’s nobody for her to share it with in India. She lives in India, she reads all these newspapers, but there’s nobody to share it with in India. The upper-caste neighbors, they shut their doors and they haven’t said a word since the New York Times article came out. Not one word. They haven’t recognized it. A colleague of hers, she came to visit my mother when the BBC interview was coming, and when she saw the interview, she just got up and left the house. It’s another upper-caste colleague. Two of her colleagues actually woke her up in sleep and berated her, “How dare your daughter write this stuff, haven’t we treated you well enough? What’s your complaints? Why are you still talking about untouchables?” It’s very sad that even though she’s very proud, there’s nobody in India that she can share her happiness with. There’s no other family there? The untouchable family and friends, they like the fact that I wrote a successful book, but they don’t want to share it in social media because it will expose them as being untouchables to their friends and co-workers. In both ways, it’s tragic that they cannot openly celebrate my book. How often do you go back to India? At least once a year, if not twice. You came to America when you were 26, 27? Now you’ve been in America about the same amount of time you were in India, right? I am doing detective work because I don’t want to ask you your age. I was obviously very taken when I read that you’ve become a subway conductor, which is a job that everyone’s interested in now because everyone loves complaining about New York City subways. I’m a conductor. Conductor in India means an entirely different thing: It’s the employee, the worker who sells tickets and things like that. Conductor in the subway, in New York City’s subway, is very different. We don’t sell tickets. We are more like what they call a railway guard in India. We make sure that everybody got in the train and nobody’s stuck between the train doors, nobody’s getting dragged on the platform or falling off on the train tracks. We open and close doors and make announcements. The conductor is in charge of the train while the train is in the station. He/she’s the one who tells the train operators what to do next. It’s interesting because I like my co-workers very, very, very much. They’re really the best. They’re very witty people, have a sense of humor, and are kind and compassionate, and people with varied interests. The best thing is that it’s a very multiracial workforce, and we get to share our stories and culture. Are there a lot of other Indian Americans? There are lots and lots of Indians. It’s just that I’m the first Indian woman. There are Indian men as train operators, conductors, and even supervisors. You talk in the book and you’ve talked today about the way in which caste has an effect on every aspect of life in India. How true is that with Indian Americans? Indians definitely have brought along the caste system to America. There are some who are more refined than the others. The refined, they identify with the liberals here in America. They vote Democratic Party, and they talk about women’s issues and gay issues. But when it comes to caste, they’re still casteist. In India, you can be as progressive as you want, and you can even be a very dedicated anti-caste activist, but caste still is present even in those people. It’s like that. In every American Indian organization, there is caste. There’s one caste that dominates those associations. I heard you say in an interview that you were drawn to things that are seen as men’s roles. Why do you think that is? I think that I actually like the way men carry themselves: nonchalantly. They can fit somewhere and swing their legs and whistle and things like that. That carefreeness, I love that carefreeness. I didn’t like being shy and demure and things like that. I always wanted to do what they could do. I was the first girl to ride a bicycle in my town. I always used to run and catch the bus after the bus had already started. Have your two siblings—who live in America and Canada, respectively—read the book? I’m not sure. I think that they were very blocked, psychologically blocked, by what I have revealed, what I have said in the book, and if I said it correctly or something. They never talked about the book until now. Now, they’re enjoying the success. Do you feel happy and settled here, in America, now? I have made an American family here. I have very few friends, but they’re very, very, very close to me. Actually, they’re closer to me than even my own family members. They make me very comfortable. They don’t ask about my caste. Even if they do ask, it’s in the same vein that I’m investigating caste and my outrage, they share that. I feel very comfortable with them. My personality has changed 180 degrees since I came to America because people like the way I talk, the fact that I can speak English and write English fluently, and I know a lot about American history and culture. I know more than average Indians here. That’s a plus with me as far as Americans are concerned. They look at me with a positive view, and it makes me feel self-confident to the point of being arrogant. I love that very much here. But, I do miss home because there are a lot of things that I grew up with, I miss that. But my life is here now.